School will be in session Monday, April 15th, but there will be a 3-hour delay. School will begin at 10:45am and lunch will be served. 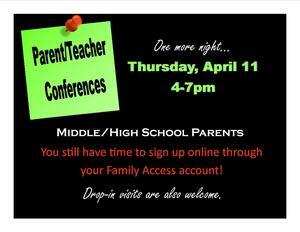 You're invited to parent-teacher conferences! 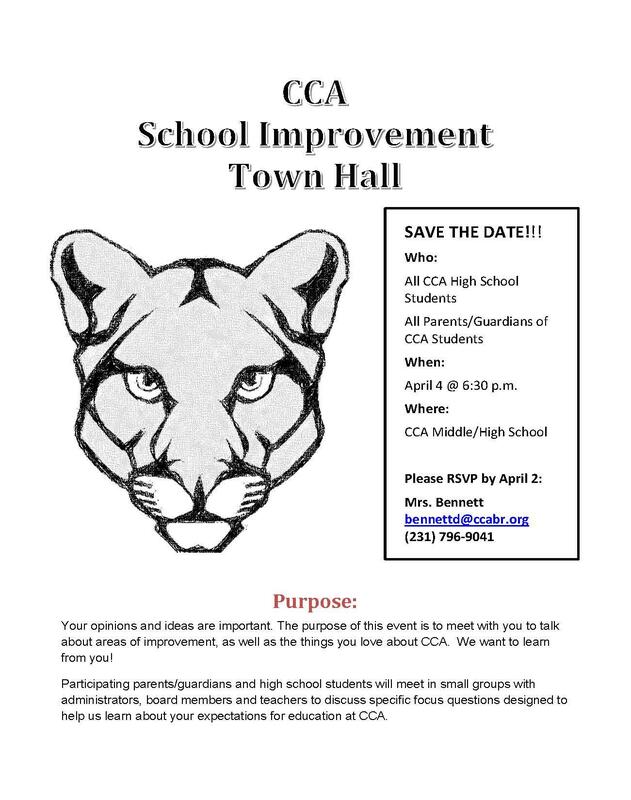 Please join us Thursday, April 4th at 6:30 pm to discuss possible areas of improvement as well as things you love about CCA. Click here to RSVP. CCA is great, but it can be even better with your ideas and input. Please join us for the upcoming school improvement town hall on April 4.